I’ve got a long project to-do list in the last two weeks before school returns and I go back to work. Yesterday I took you through part 1, which was quite detailed and photo heavy. Today’s won’t be nearly so long! This room is just MINE. In a house full of boys, I’ve got a chill out space for just me. No Star Wars or superhero merchandise in sight! When I’m in here, I’m working on hobbies, or planning, or journaling, or YouTubing, or meditating…I feel better already, just knowing I have a space for me! 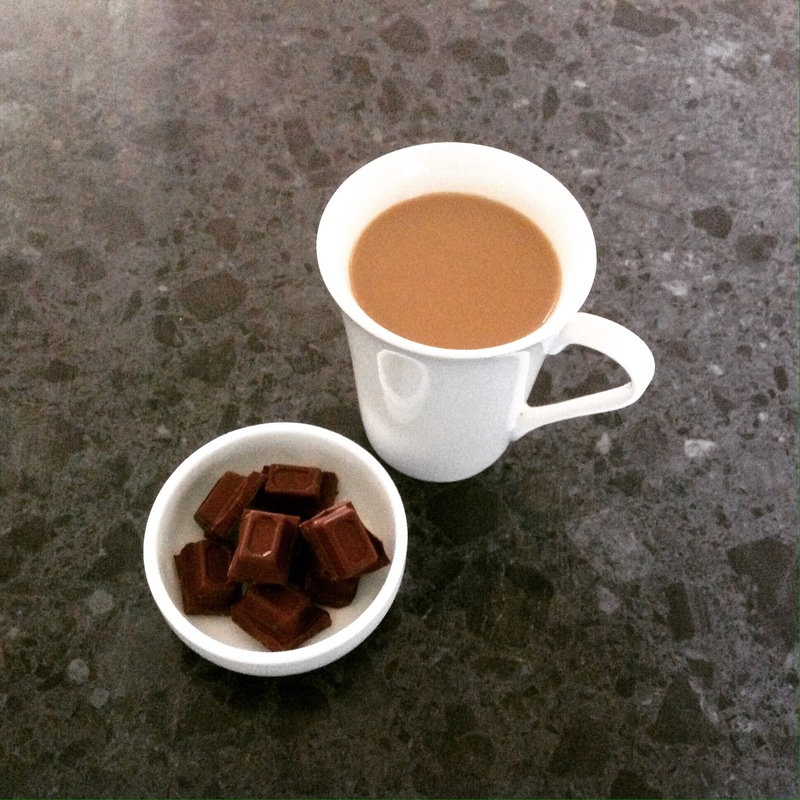 I’m pretty frugal and love repurposing things that otherwise get thrown away. One of my passions is ‘less waste’ in this throwaway world. So you will likely see some things that may raise your eyebrows! This is my little bookshelf and the focus of this post. At the very top are boxes we got from IKEA in London, many moons ago. We used these boxes to keep our CDs in. They fit two rows, side by side perfectly, which was great, because we had approximately 700 CDs! Nowadays, we have transferred most of our music to our iTunes account and only have 1 box of our absolute favourite CDs remaining (in the box, just above the jigsaw puzzles. I either lost the little label inserts or chucked them, so made ones to fit from blue card stock and my label maker. You can see the top boxes don’t have labels. That’s because they are empty! It’s super important to have room to grow in your home office, otherwise you will end up cluttered and in a mess again. The artwork is from my eldest, from about 5 years ago. I absolutely adore it! 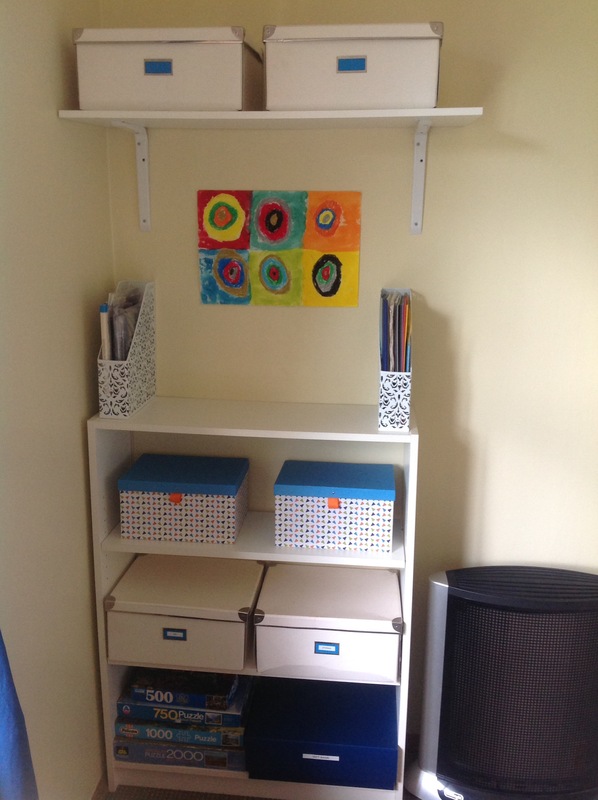 Ok, so on the bookshelf are file stands…I don’t actually know what they are called, do you? Anyway, inside those are my scrap booking paper, stencils, etc. I have only made one scrapbook but I’ve kept all the stuff because I feel like I will do another one, one day. I think they need to have something in between them, and I think a small plant would look good…I’m open to suggestions! On the next shelf below are the blue and orange patterned boxes. In the left one I have more scrap booking stuff, like ink pads and letter stamp blocks. The box on the right is empty. The third shelf down holds two more IKEA boxes. The left one is our remaining CDs box. The right one is labelled ‘Storage’ and holds things I might use, like a pretty glass jar and more wicker baskets etc. On the last shelf are my jigsaw puzzles, which I got into last winter and likely will do again this winter. The big blue box holds gift bags and tissue paper. 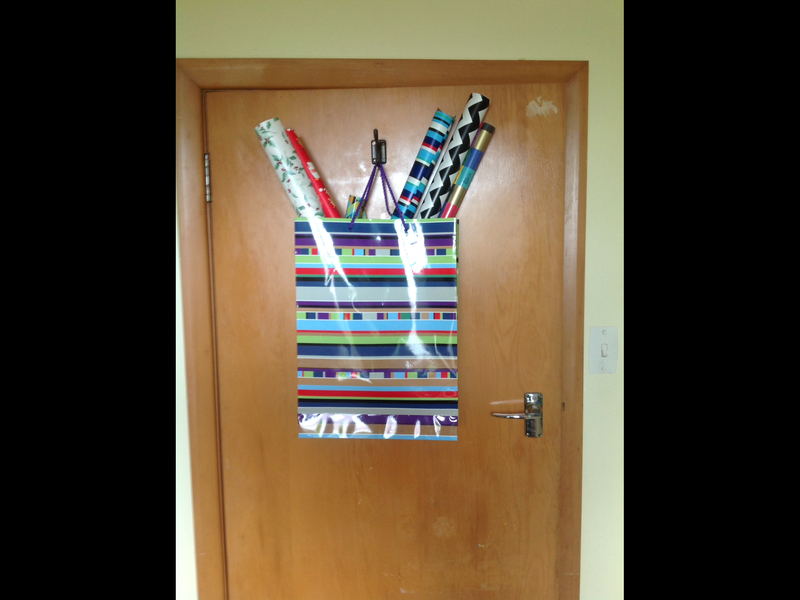 Wrapping paper has always been a pain in the arse storage wise for me, so I took the largest gift bag I had, put the rolls of wrapping paper in it and hung it on the back of the office door. That’s it for part 2. If you have any suggestions on bringing some life to the book shelf, I would love to hear them! 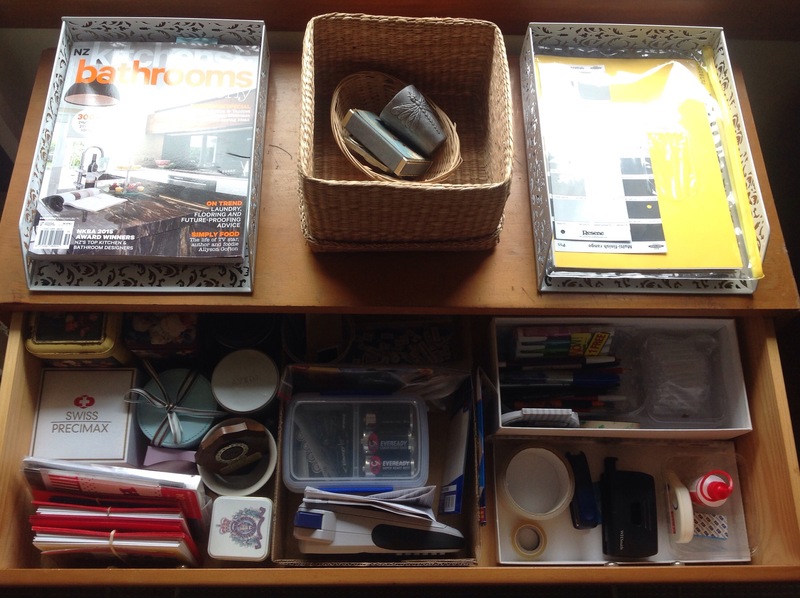 Better still, share your own decluttering or organisation tips/posts! I’ve got a long project to-do list in the last two weeks before school returns and I go back to work. 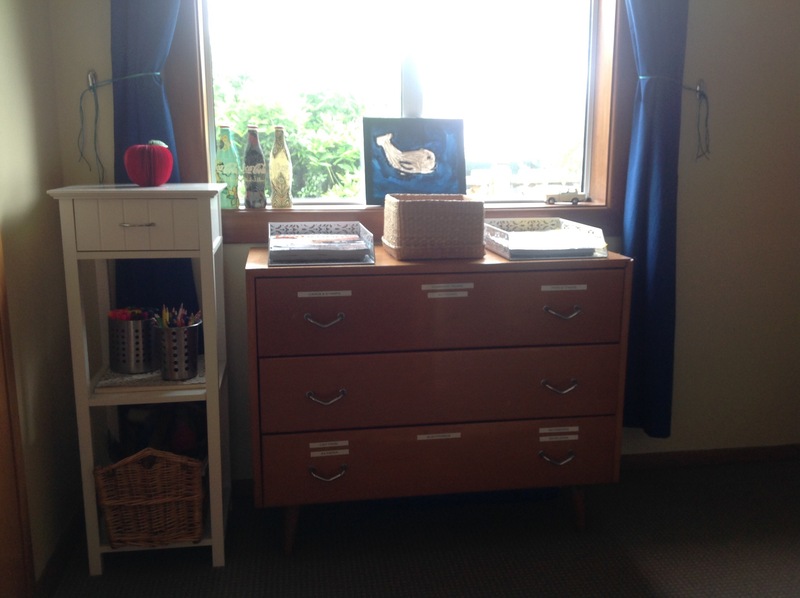 Yesterday, despite feeling a little blue (another post to write), I got my focus on and finally sorted out my home office/craft room/mum space. I’m delighted with the result. I’m looking forward to it remaining this way for the year! This room is mine. In a house full of boys, I’ve got a space for just me. No Star Wars or superhero merchandise in sight! When I’m in here, I’m working on hobbies, or planning, or journaling, or YouTubing, or meditating…I feel better already, just knowing I have a space for me! This is the view from the doorway and the focus of this post. Starting on the left you will see the tall white unit. We purchased this when we lived in London. It was built to go in the bathroom, but I put it in our entranceway as a place for the phone and keys, etc. Here I am using it as my art “station”. As yet the drawer is empty. The first shelf is for my colouring book (I only have one keeping to my less waste ethos), colouring pens and pencils. 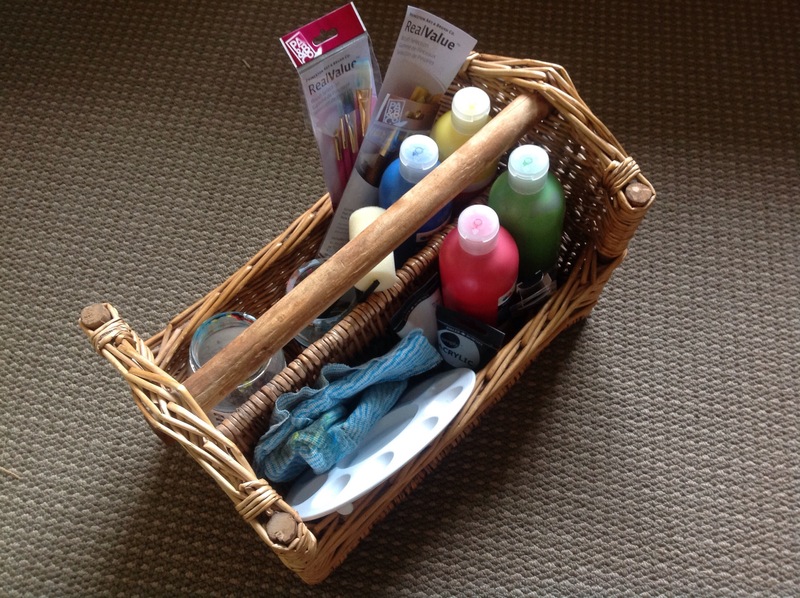 On the second shelf is a cane basket, which I also bought in the UK, as a caddy for nappies, baby wipes, creams etc. It’s extremely sturdy and is housing my acrylic pants, brushes etc. If you think about it, you can find a new use for things! Next up is the drawers, which came from my parents’ house. Eventually I want to paint them white, but until then I am using it as is. Across the top are two paper trays. These are for my current house decorating project, which is the toilet (or powder room for my US readers). The tray on the left holds the bathroom focused magazines I’ve purchased. The tray on the right holds bathroom product brochures, paint swatches, project ideas, etc. The wicker basket in the middle is a ‘dump’ basket. This is a spot where I can quickly throw small miscellaneous items that don’t have a home or purpose yet. The top drawer houses a mishmash of things. 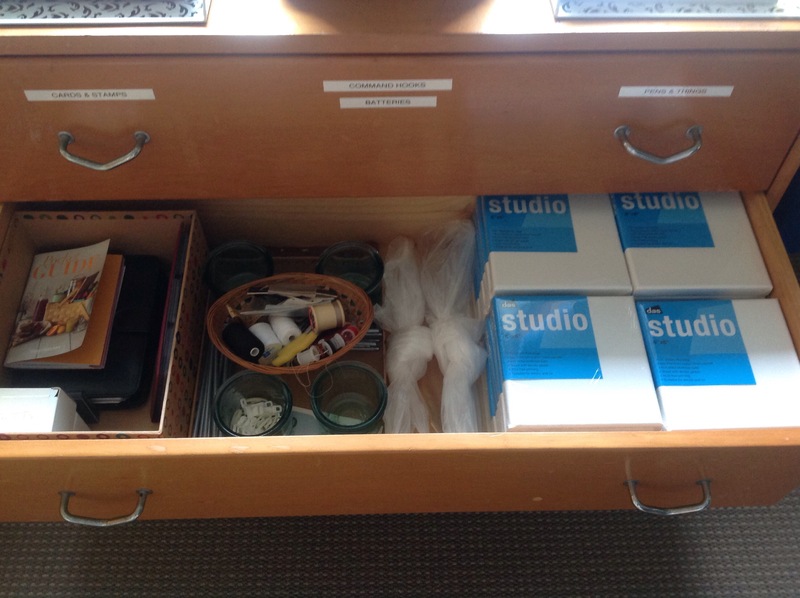 I’ve used shoeboxes and their lids for drawer containers and dividers. 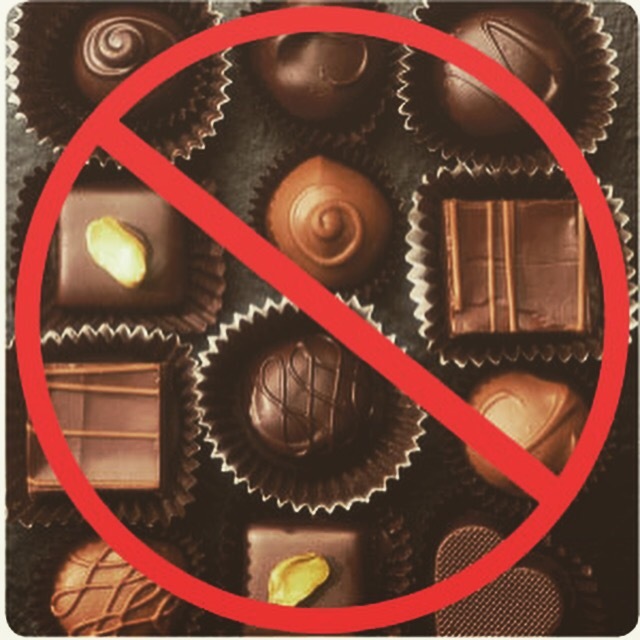 I really don’t see the need for covering these in pretty paper, nor the need in buying containers or dividers when I can use something I already have, for free. At the front on the left is a wad of blank cards, made by the kids, with their envelopes and a book of stamps so we can send these to the UK family whenever there is a birthday. This is a life-changer for me. Until now, I haven’t had a ‘home’ for this so when a birthday comes up, there was always a rummage through miscellaneous drawers and cupboards for cards and then a dash to the Post Office to buy the stamp. Inevitably, the card has often arrived late. This way is going to be so much better! And yes, I’ve labelled the top drawer, as you can see in the photo below. The second drawer down is pretty empty and contains miscellaneous items. On the left is to do with my old life coaching business stuff. Then there’s a small sewing kit and on the right are blank canvasses for our wall art project (another post to come). 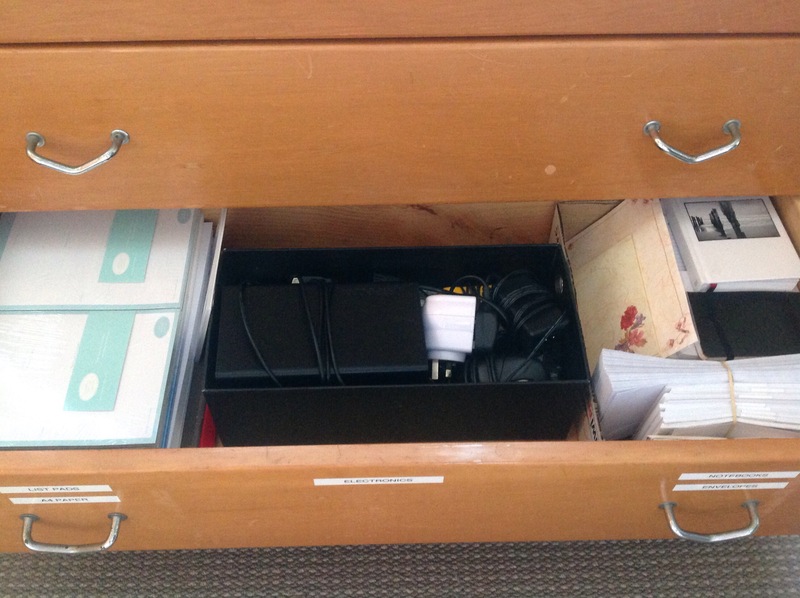 The bottom drawer on the left is where I keep my weekly chore pads (for the kids), shopping list pads, A4 printer paper, and photo paper. In the middle is a shoebox containing our external hard drive, my old mobile phone and charger and USB memory sticks. To the right, I have a ton of blank notebooks and plain white envelopes (which get mainly used up by sending money with the kids to school). That’s it for part 1. If you are looking to do the same, or already have, please comment and share your ideas/inspiration! After a second attempt at hand feeding Greedy yesterday, which failed because he kept spitting the pellets back out, my son came into my bedroom this morning to tell me he had died. Poor thing. But I’m glad he is now over his suffering. Bye bye Greedy, thanks for the crazy memories! Approximately four years ago we purchased this sweet little goldfish to replace one that had died. My eldest (5/6 at the time), named him Goldlight the Best. 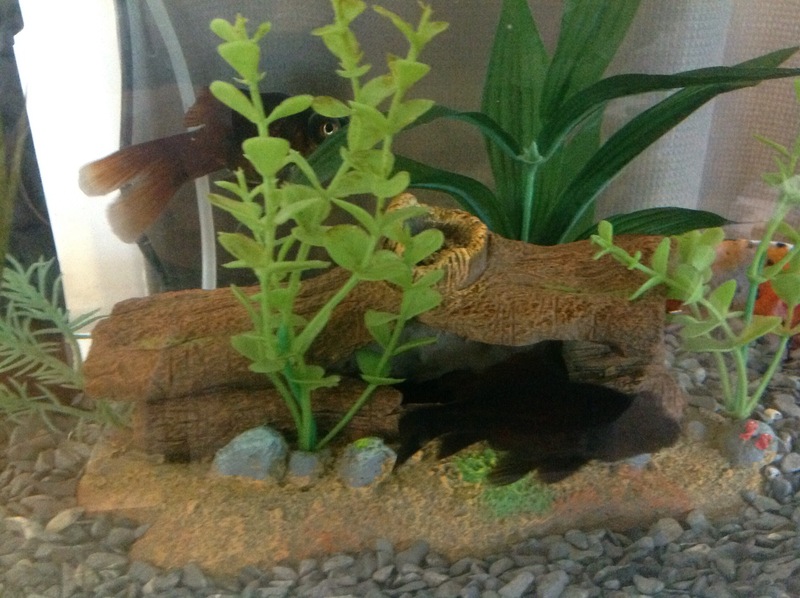 We homed him in our tank with our one surviving goldfish (who died recently, but more about that later). It quickly became clear that Goldlight the Best was a bit of a bully. He would intimidate his tank-mate, Goldy, and literally chase him away from the food, then gobble it all up himself. Needless to say, he became very fat very fast, so we renamed him Greedy. 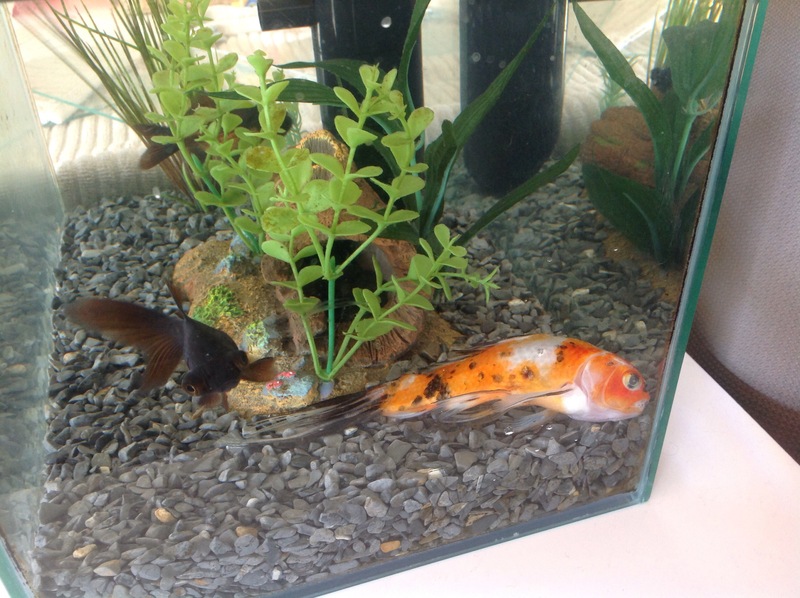 And I learned to feed the two fish separately – not a sentence I would ever have thought I’d have to write! Greedy’s second love after eating, was nibbling on the gravel at the bottom of the tank, sucking a piece into his mouth and then spitting it out. But this one time, I noticed a small bit of gravel stuck…I want to say at the lips, but fish don’t have lips as such, so just at the mouth entrance, I guess. I didn’t really know what to do so I kinda waited for a few hours, seeing if the problem would resolve itself. But no, it didn’t and I knew Greedy wouldn’t be able to eat with a piece of gravel stuck in his mouth, so I had to get it out for him. And that was my first Greedy-saving event. If you’ve ever had to catch a fish by hand and carefully retrieve something from its mouth, whilst it’s flapping and slimy in your hand, you’ll know it’s not easy! But I did it and Greedy went back to bullying and eating. Then we went away for a long weekend in November and had a friend feed our pets for us. I left very clear instructions on how little to give the fish (they only eat a tiny amount). 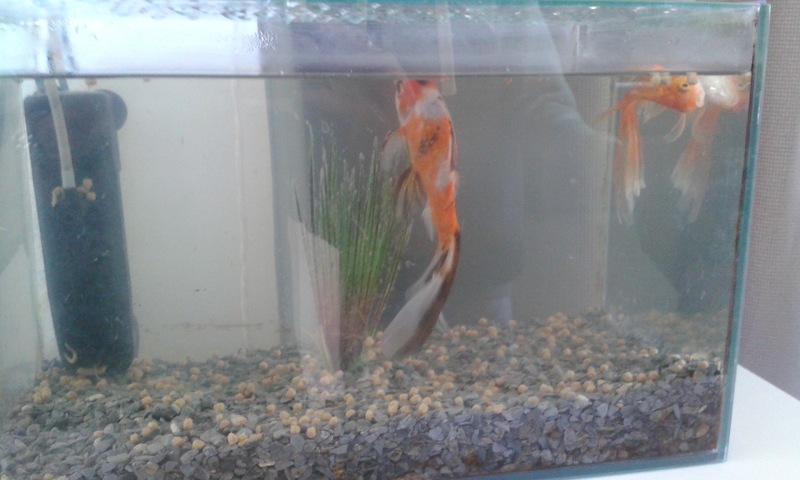 However, when I got home, I discovered Goldy dead and floating and Greedy, struggling for survival. There was food EVERYWHERE in the tank. The poor things had been well and truly overfed. As you can see, they only need about 6-10 of those little round, brown pellets, but received a significant amount more! I know Greedy loves his food, but not that much! He was really struggling and gasping, so I immediately removed him from the water, cleaned out the tank, the filter and the gravel, removed dead Goldy (😢) and rehomed Greedy. He was back to his usual self within 24 hours. Phew. They’re little and fast moving so quite a nice addition to the tank. And if you look to the rear right corner, you can see Greedy. He’s struggling for survival once again. This time, I’m not sure what might have happened to lead to his ‘depressed’ state. So I asked my boys, if they had been keeping up feeding the fish since we got back from camping eight days ago, and the answer was a non eye contact, quiet “um, no”. I look closer and there is no movement whatsoever. I was pretty sure he was dead as even his gills weren’t moving. I gently tapped the glass next to where he lay and his eye moved – he was alive! I scoop him up and this time there is no flapping, he is completely lifeless in my hand. I plop him in a separate jug of fish tank water and watch him lying at the bottom lifeless, wondering what the heck to do with him this time! My youngest, who is the overseer of the fish feeding, put a couple of pellets of food into the jug. Greedy does nothing. I knew now for sure, he must be on death’s door. 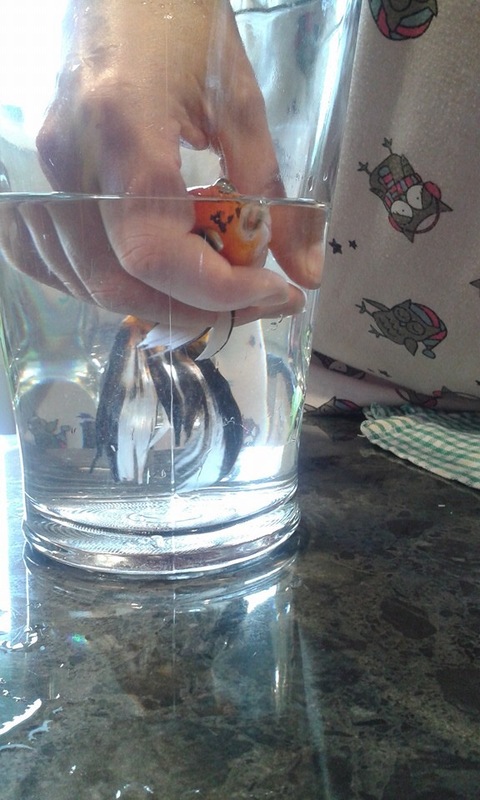 So I hand feed my fish…another sentence I never thought I’d be writing! One by one, I put 4 pellets in his mouth. After spending 20 minutes holding him whilst he eats the 4 pellets I hand fed him, I let go of Greedy and get to work, cleaning the filter and doing a fish tank ‘quarter water change’. I keep an eye on him and he seems a bit perkier but not much. The jug is pretty small, so I put him back in the tank with the other two and he just sinks to the bottom, dorsel fin still flat and has stayed there motionless since. He seems to be breathing better than before so who knows. Maybe it wasn’t hunger. Maybe he’s just reached old age? Maybe he is pining for Goldy (snort)? Either way, he’s not a happy fish. 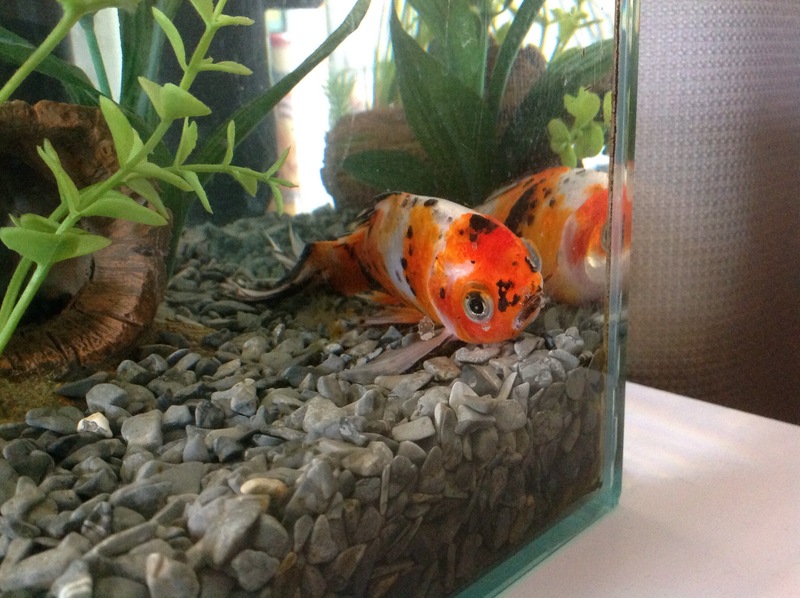 You may think I’m nuts, dedicating an entire post to a goldfish or for caring so much, but I do. Poor Greedy.